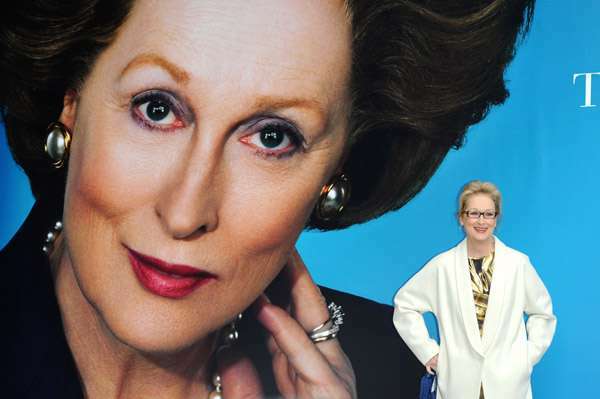 I was just reading about Meryl Streep’s latest film, The Iron Lady, and suddenly I thought – how come she and I are not friends? Maybe this thought is a result of being in Jerusalem where they say it is easy to bump into and chat with the country’s celebrities. Or is it something else entirely? Forty plus years ago while I was a student at Tufts University, one day I noticed a good looking, waspy guy in one of my classes in the Experimental College (actually that wasn’t that unusual to be good looking and waspy at Tufts then, William Hurt was there at that time as well). This guy caught my attention because he was in a dance class (a bit unusual at the time). He was driven, intelligent, and competitive. His competitiveness gave him a kind of vitality that intrigued me and that also spurred me on to excel. He had everything that was then valued in the rarefied world of semi-Ivy League small New England collegiate life – male, blond, and athletic, as well as smart. He was many things that I secretly desired to be that are too complex and complicated to explain here. But he was also kind, and I think he felt deeply. So I liked him very much. At the time, in addition to dance, I had discovered theatre and took every opportunity to act that came my way. At one point I was simultaneously playing Hysterium in the farcical musical A Funny Thing Happened On the Way To The Forum in one theater, and would rush to another later in the evening where I was playing the ‘Officer’ in Moliere’s Tartuffe who enters at the end of Act 3 to give a long speech about the powerful, omniscient and great Louis XIV. It was during one of these stretches of doing too much that Harry, Harry Streep, the good-looking waspy guy in the dance class, came to see me in a production of Wedekind’s Spring Awakening (I played Melchior). He had seen me in several productions before but had never spoken to me about them. But after this performance he looked me in the face as if seeing me for the first time and said, “You’re good. You are almost as good as my sister, and she is really good.” This stayed with me. One evening, a bit later, during a dreadfully cold and snowy Boston winter, I was headed back to my dorm after just finishing a performance of yet another play, when I heard someone call my name. I turned and saw two figures silhouetted by light from a street lamp, standing in the middle of the road, almost knee deep in student trampled snow. They were a bit of a distance from me and though I could not see their faces I recognized the body carriage and shape of one of the people – it was Harry. The other was a woman. As they began to walk towards me the woman’s form seemed to glow. Even with the distance and not being able to see her face, she mesmerized me. As they got closer and I could see her face, this sense of ‘presence’ became stronger. Finally there they were standing in front of me. I knew this was the sister that was ‘really good’. She had the same blondness, tiny mouth and small slightly askew nose as Harry. “Hey Donald, this is my sister Meryl, that I told you about. She’s visiting from Vassar,” Harry said. I stare into her face flushed from the cold. She smiled warmly back at me and extended her hand. “Hello,” she said, “It’s nice to meet you.” We stood in the road for a few minutes and exchanged a few niceties. After finishing our chat we said good night and walked away from each other. I, like Lot’s wife, felt compelled to turn and look back. Freezing and transfixed I stood and watched as they disappeared into the night. Several years later I was in New Haven hanging out and trying to reconcile what had been unhappy and painful experiences at Yale (I had spent a year there before going to Tufts). I was also hoping to get a sense of The Yale School of Drama, wondering if going to drama school there was something I could or wanted to do. I wandered over to the School of Drama to be a fly on the wall. Instead, I found myself watching a performance of Chekhov’s Uncle Vanya by second year actors. After the show, I was sitting outside having coffee (it was spring) and I noticed this buzzing of voices and activity around me. “Meryl is going on” I overheard someone say. So I asked what that meant. 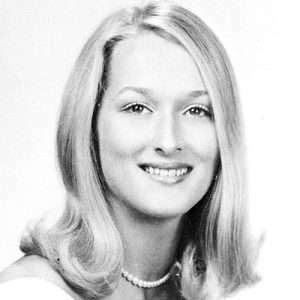 They explained – Meryl, Meryl Streep, who was a student at the School of Drama, was understudying the lead in a Brecht play (I don’t remember which one) at the Yale Rep. It had been posted (while I was watching Vanya) that she would go into the part for that evening’s performance. So, I was told, if I was interested I’d better try and get a ticket, now! Here was my opportunity to see Harry’s sister in action, I thought. However, by the time I got to the box-office all available tickets had been snatched up and there was a long waiting list to which they were not adding more names. Apparently, she had a following. The next year or so my interest moved farther away from theatre and more into the world of dance. I moved to New York and shared a loft on the edge of Chinatown with Harry and two other male dancers. I was now obsessively consumed by dancing and completely immersed in the world of the New York dance scene. Dance was everything to me and nothing else existed. On occasion Harry would give me news of what was happening with Meryl, though I never saw her. Financially, New York was a challenge. I had difficulty getting and keeping jobs and was completely incompetent at managing money. While Harry and the others were sympathetic to my situation, eventually I found myself on the street without a place to live. For a long stretch of time I couch surfed and even slept on park benches, often showing up at a compassionate friend’s apartment in the morning to take a shower before heading to ballet class. One afternoon while sitting on a park bench, I noticed a magazine next to me. I picked it up and began to read, something to distract me from my hunger pangs and general depression. In it was an interview with Jane Fonda about her upcoming film Julia. She was asked the usual questions including ones about working with her co-star Vanessa Redgrave. As one would expect, she praised her. But seemingly out of the blue she mentioned a newcomer on the scene that she predicted would have a great career, Meryl Streep! Excited, I scraped up some money and went to see the movie. I was completely immersed in the film when suddenly there she was, the young woman with the glowing presence from the snowy night in the middle of the road at Tufts. On screen, larger than life, was Harry’s sister. But this time she was not blond but rather she had rich dark hair. Yet, it was unmistakably the same face. I don’t remember much about her part but I think there was something incestuous about her relationship with her screen brother and she turned over a table. But whatever it was, it wasn’t enough for me – I wanted more of her! Over the next several years, I saw every movie she made. I was delighted by her performance in The Seduction of Joe Tynan where I can still hear her saying in a Louisiana inflected accent, “Cause he’s my daddy”. There was a sadness that coursed through her performances in Manhattan and especially Kramer vs. Kramer where her vulnerability enthralled me. As Meryl became more famous and celebrated, I, and I suspect many others, obsessed over her. With The French Lieutenant’s Woman I was hopelessly in love. I feverishly dreamed of her. Even imagining us as secret lovers, our passionate love affair fueling her creativity and propelling her to even greater heights of brilliance. However, it was not until Sophie’s Choice that I finally got it. I watched in awe and amazement the heart-wrenching scene where she reveals her unthinkable choice. Her pale skin flushing ever more intensely as the layers of her secret were ripped away, like the skin off an onion, and exposed. At the end I was emotionally devastated as if I had lived Sophie’s choice. It was in that moment that I got that Harry’s sister is indeed really good. Forty years later sitting in my apartment atop Jebel Deir Abu Tor in Jerusalem, I find myself still thinking about Harry’s sister. She has always seemed so familiar to me and felt so much a part of my life. So much so that in reality it seems odd that she and I don’t really know each other and are not friends. But neither are Harry and I, anymore. Perhaps only in Jerusalem where I think about and experience time as layers or collapsing timelines could reading an article about The Iron Lady makes me remember not only my brief encounter with Meryl Streep but also trigger an awareness of the different possible directions my life might have taken – if I had made different choices. It seems that this place momentarily weakens the linchpin that keeps my various and alternate realities securely attached to the axle of their appropriate time. 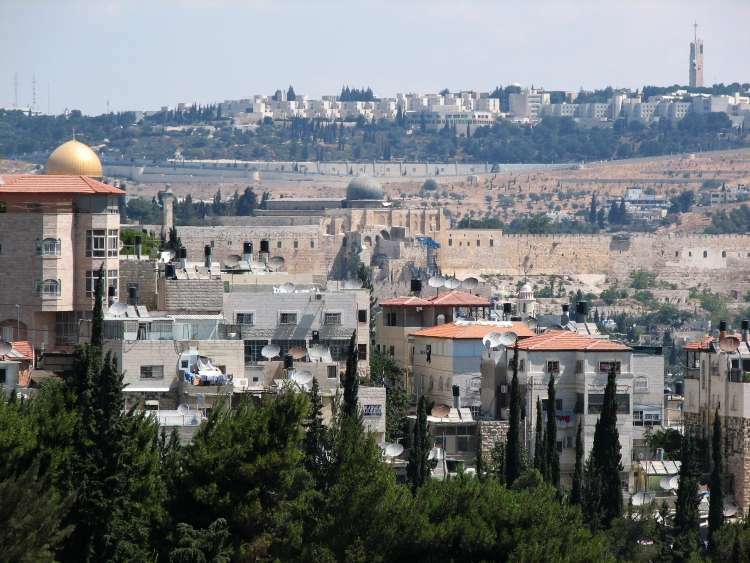 With the Valley of Hinnom separating me from the al-Aqsa mosque and the south wall of The Old City of Jerusalem, I sit at a glass desk in an ultra-modern stone house with floor to ceiling windows on an ancient hill and I wonder. What if I had chosen to be an actor, and being almost as good as Harry’s sister, what would my life look like today? Perhaps Meryl and I would be friends (lovers)? Or perhaps these ruminations are simply a symptom of middle age – as life passes, a wondering about what might have been.